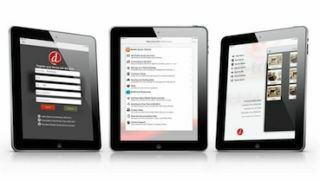 D-Tools, Inc. will demonstrate its new iOS-based iPad companion app for its flagship product, SIX 2013 at ISC West April 2-4, 2014 at the Sands Expo in Las Vegas (D-Tools booth #26135). Available now for D-Tools partners worldwide, the new release adds mobile quoting capabilities that enable commercial and residential AV integrators to generate quotes natively on an iPad, then import them into the full D-Tools SIX 2013 software platform for further project design and management. Delivering on D-Tools’ commitment to streamline product updates and enhancements by consolidating them into an annual release, this new companion app will immediately extend the D-Tools workflow to mobile sales and specification teams. A native iOS application, the D-Tools Mobile Quote app leverages D-Tools’ extensive manufacturer product library by enabling integrators to access and integrate product category and package data from their SIX 2013 catalog while working with customers in the field. Integrators can enter client and contact information into the iPad app, then walk prospective customers through available installation scenarios in order to create a quote for approval. Once complete, the resulting quote can then be imported into SIX 2013 for additional design work and synchronization. The Mobile Quote app uses many of D-Tools’ workflow concepts, including the specification of locations and systems, which allows integrators to provide packages or pre-configured systems for inclusion in the quote. Labor and general pricing will be calculated to give the customer an accurate proposal, which can then be signed off for approval on the spot. More than 4,500 companies worldwide use D-Tools Systems Integrator Software to streamline the estimation, design, and project management processes associated with the installation and integration of low voltage systems.